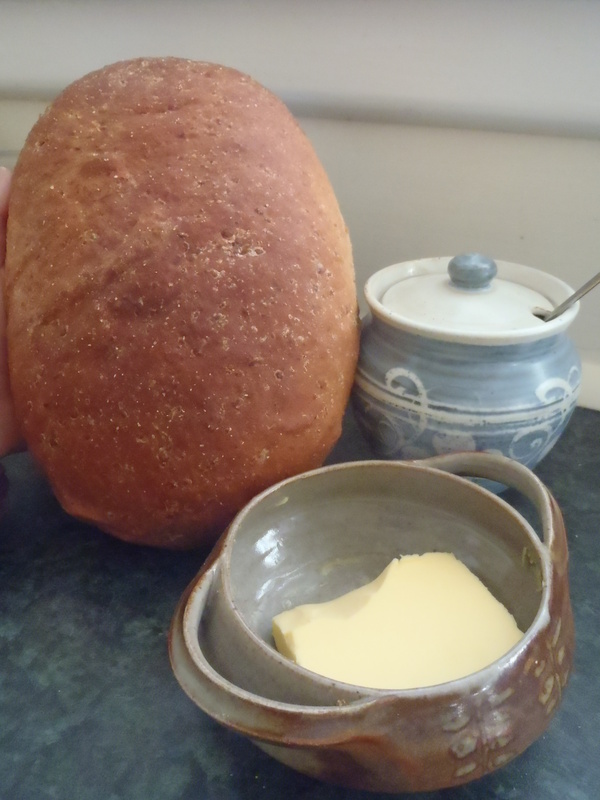 Domestic delights–fresh baked bread with honey and butter….in containers from the second hand shop of course. I can’t remember if we shipped bread pans or not, but I finally figured out a nice looking loaf without a pan, courtesy of baking paper, cornmeal and careful dough folding. Yay, a triumph! 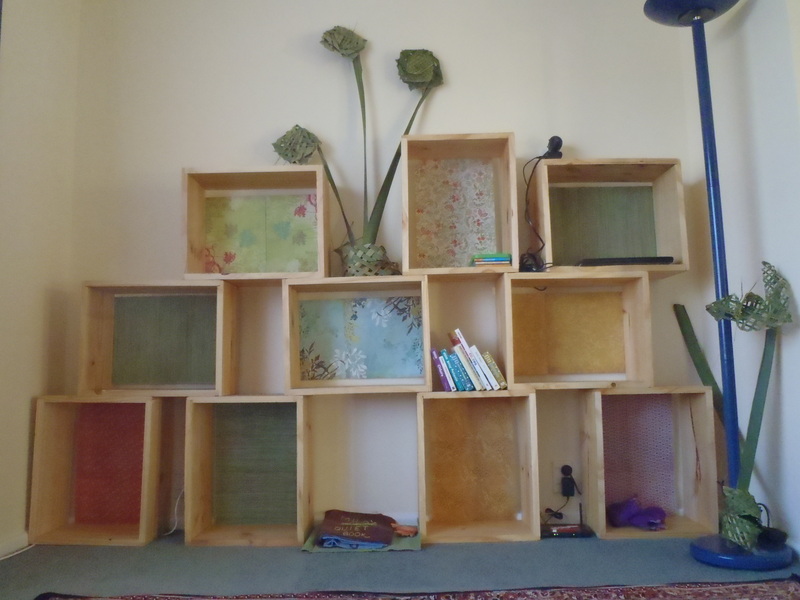 I spent yesterday evening decorating the bee box shelves with pretty paper from the stationary store, and I’m tickled pink with the result. When I asked Jeremiah how he like them he looked up from the computer for a sec, testified to their colorful nature, and resumed his web surfing. The truth is he wouldn’t care if he lived in a black and white cave, but he has been married long enough to know that a cursory approval is necessary. Ah, Molly-you’re creative, that’s for sure. You’ll reach the point in your marriage where you’ll know to ask the creative question too. Then if he doesn’t give you the correct response-you can feel justified in a creative retaliation. Glad you’re settling in and youur house is starting to smell like home! Sorry to gang up on Jeremiah, but in my humble opinion he is a lucky guy to have you decorating. You are too funny! Loving all the pictures! Doing an awesome job decorating and when Jeremiah has his first co worker over for dinner he will appreciate your many talents!! !